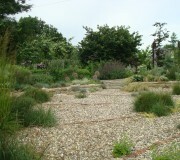 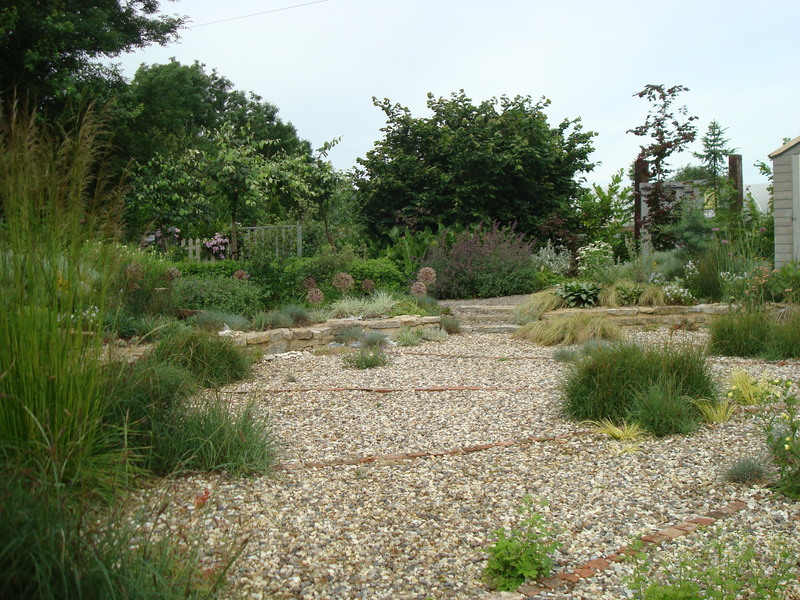 Midney Gardens comprises a series of linked garden areas, each with its individual character. 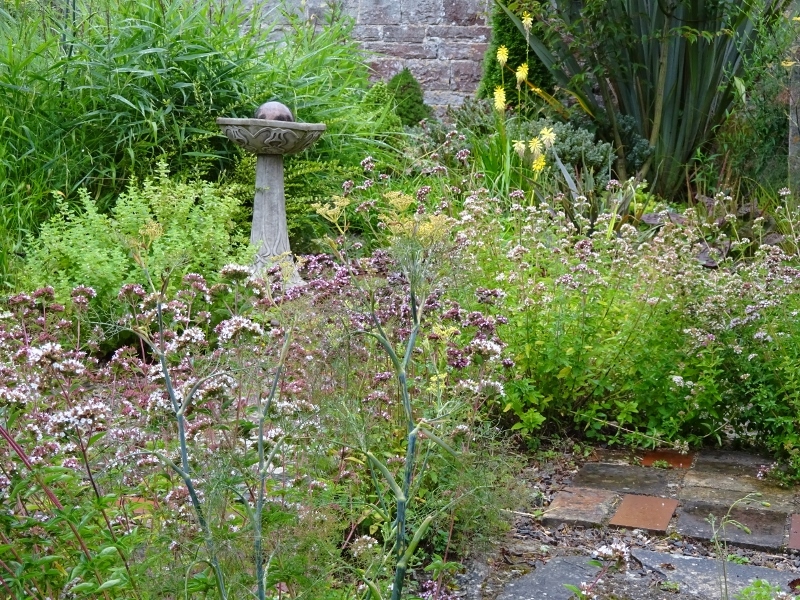 The garden areas are defined by the use of colour and interesting details and although different, each one seems to flow naturally to the next offering visitors a rich overall experience. 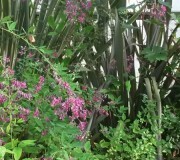 Enjoy the following glimpses of some of the different areas. 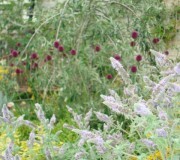 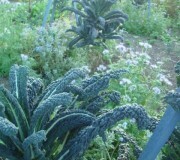 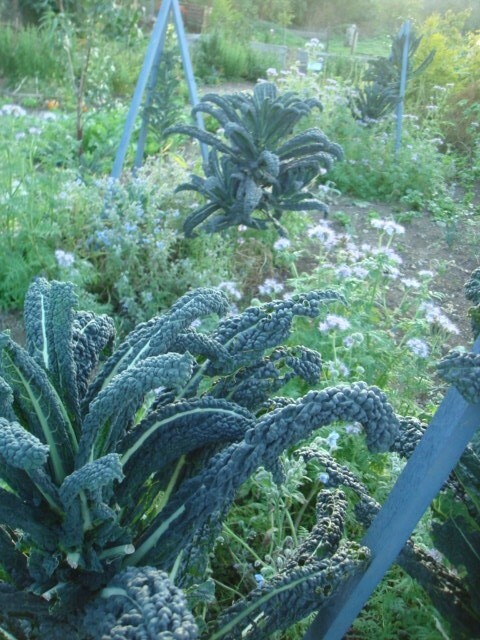 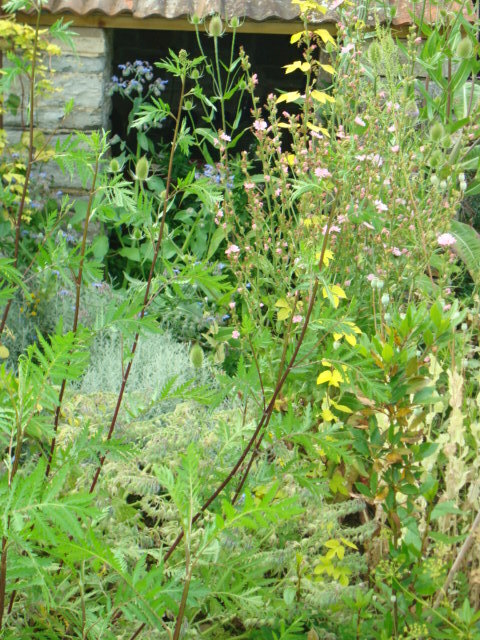 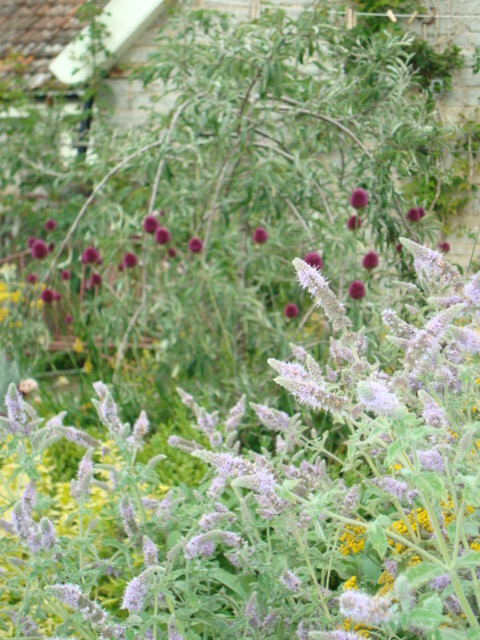 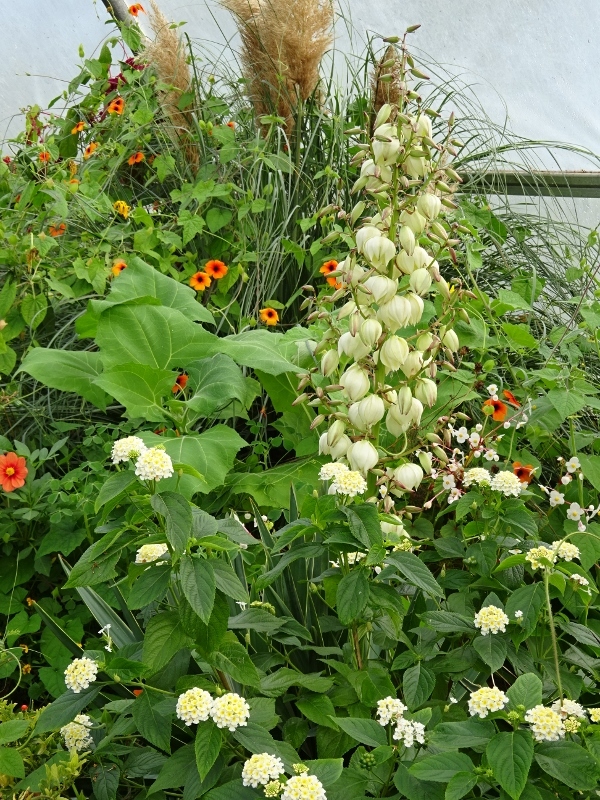 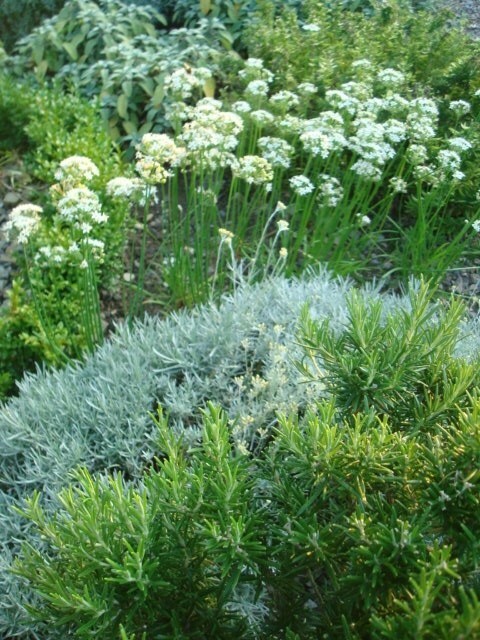 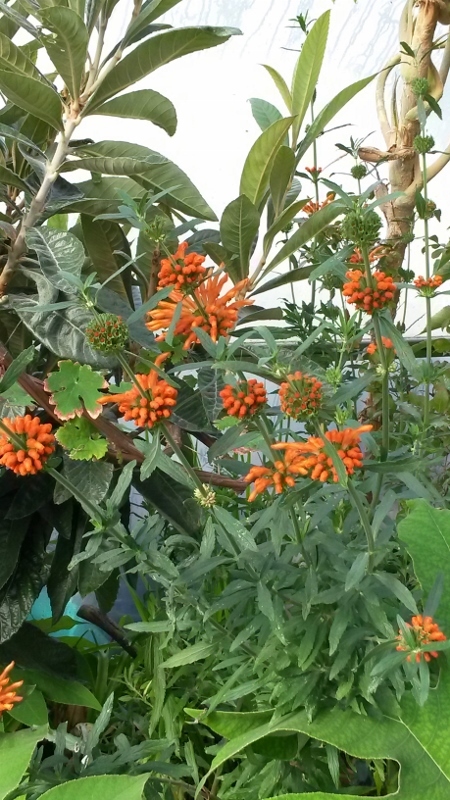 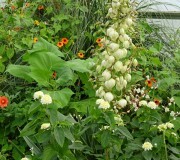 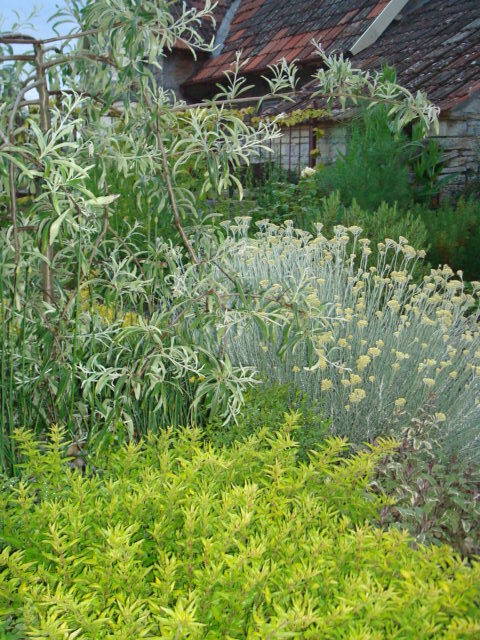 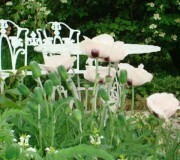 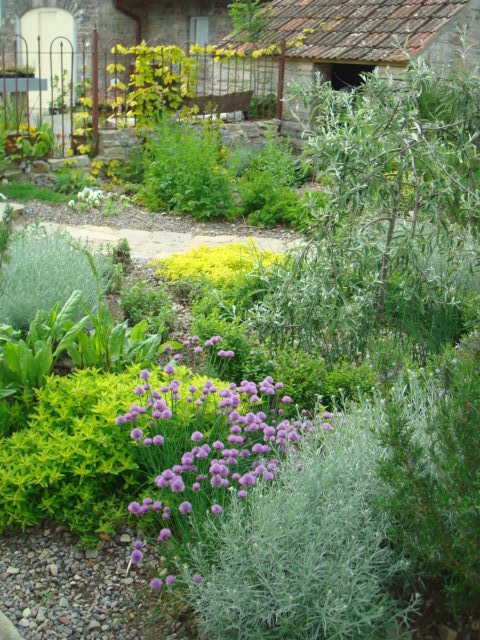 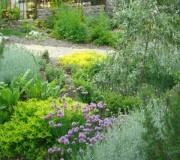 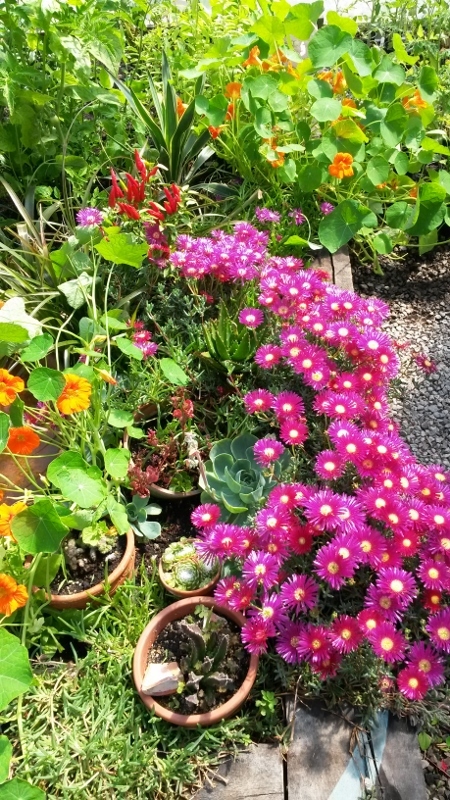 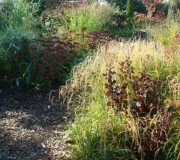 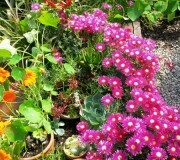 Productive and great to look at too – herbaceous plants grow alongside the vegetables. 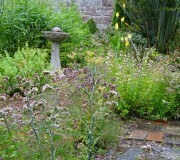 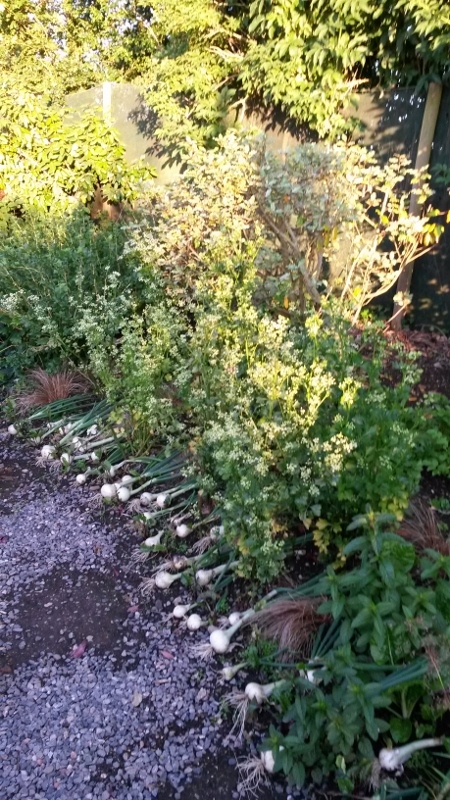 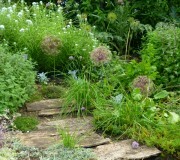 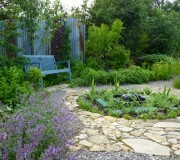 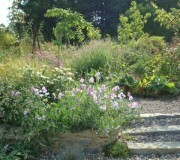 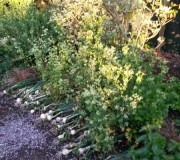 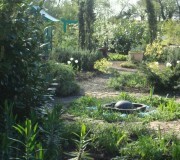 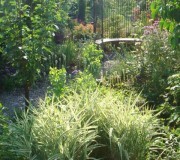 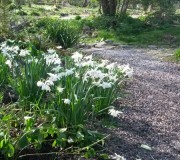 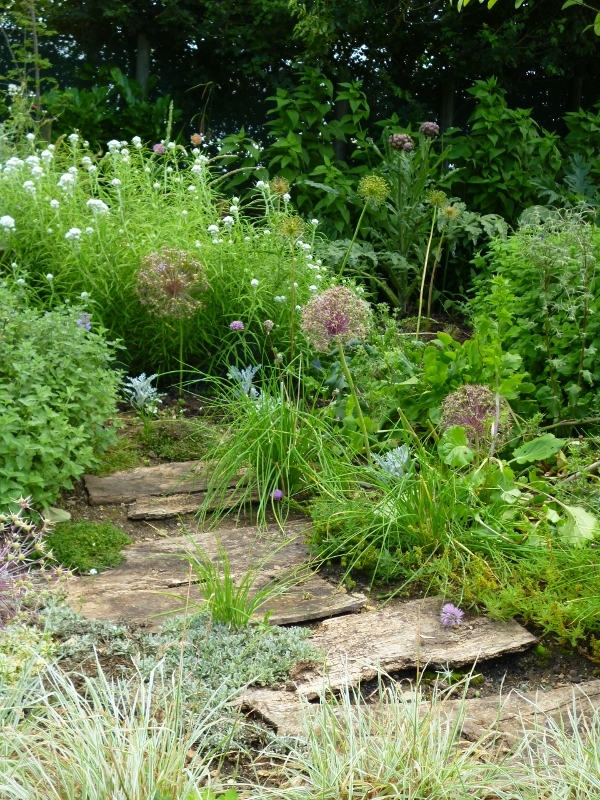 Looking forward to a great display of alliums in this part of the garden! 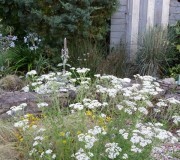 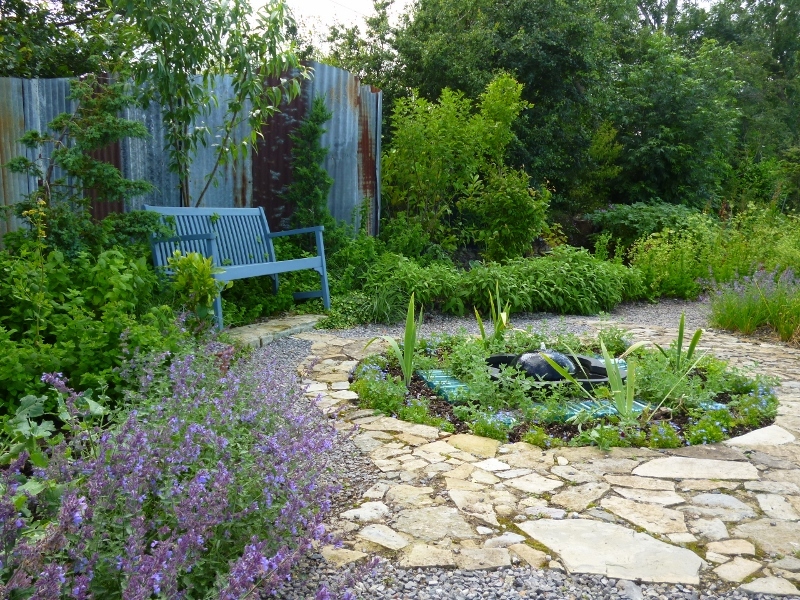 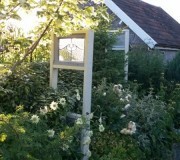 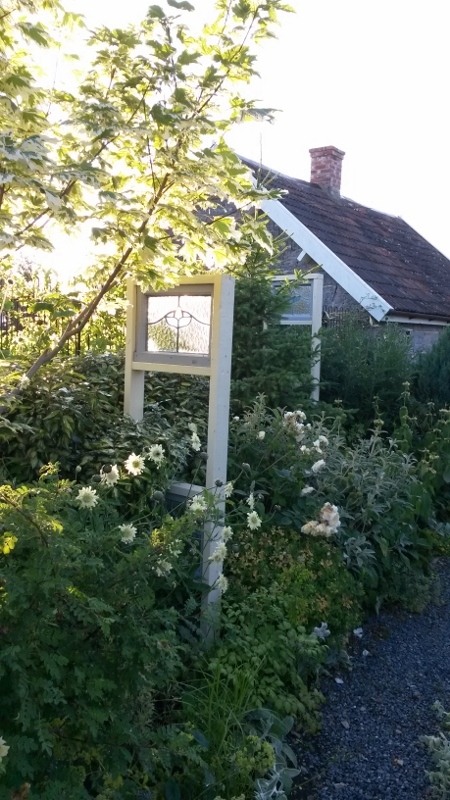 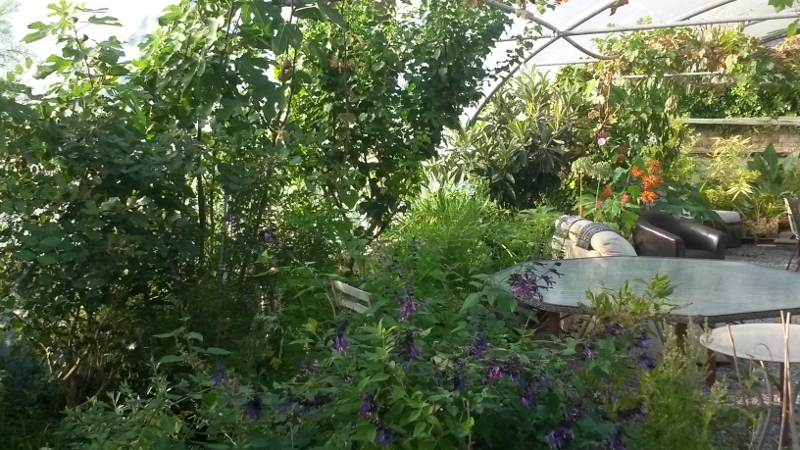 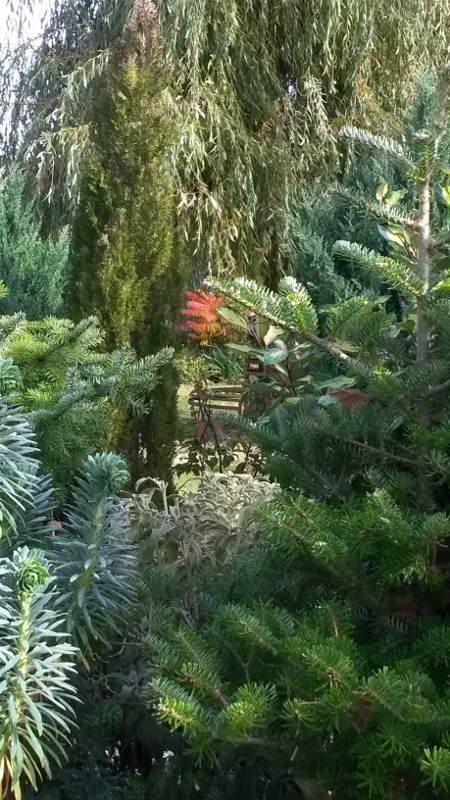 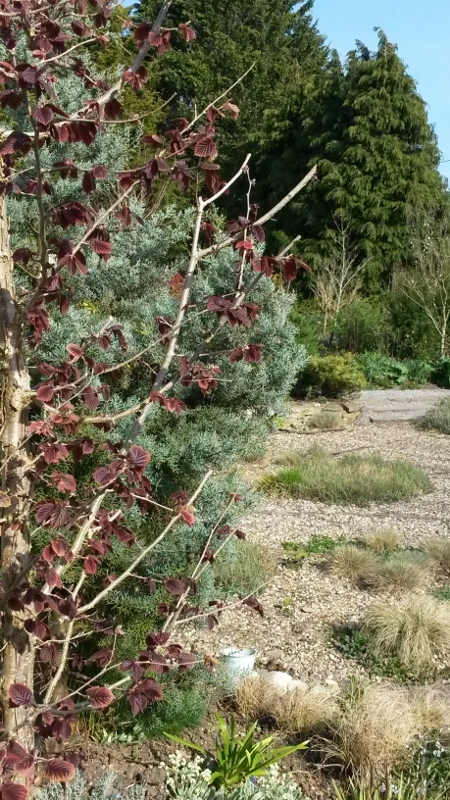 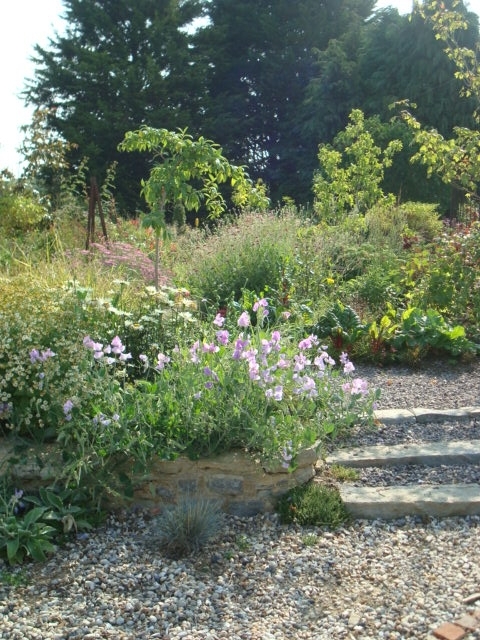 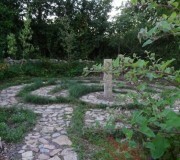 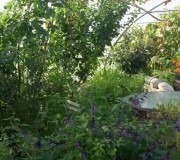 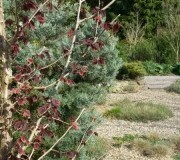 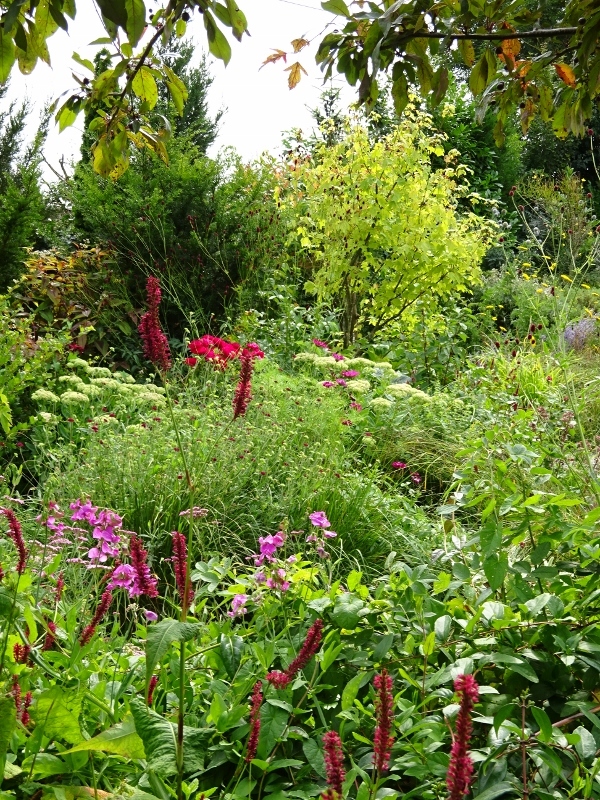 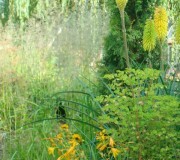 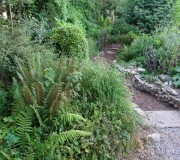 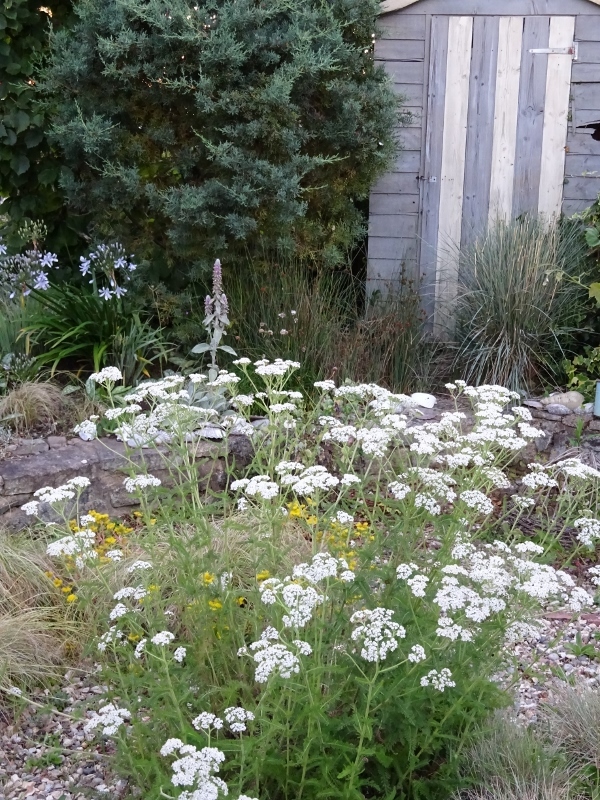 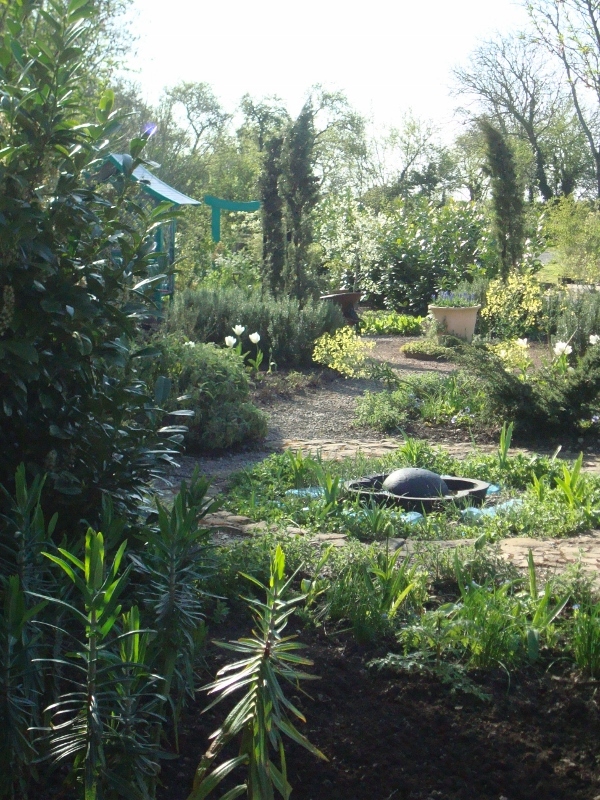 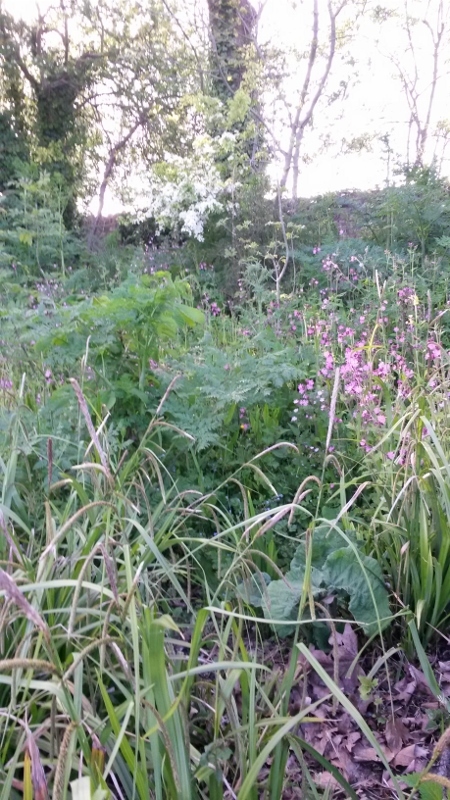 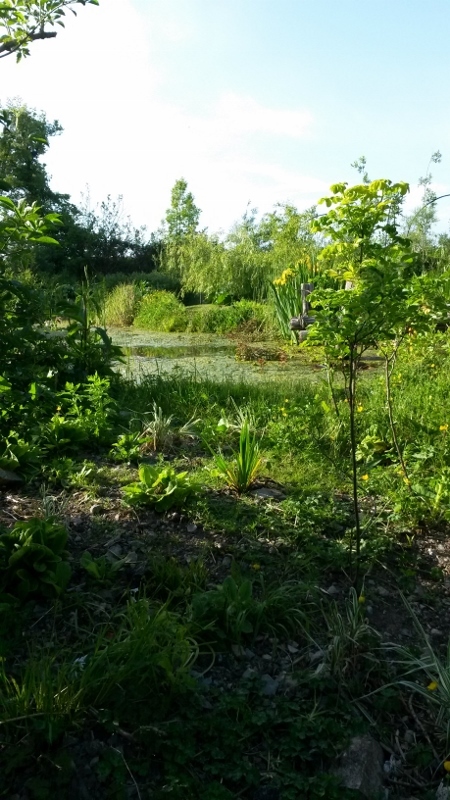 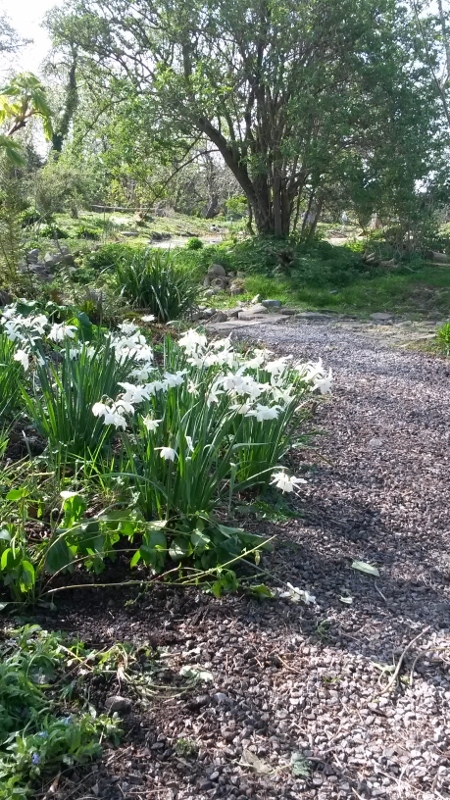 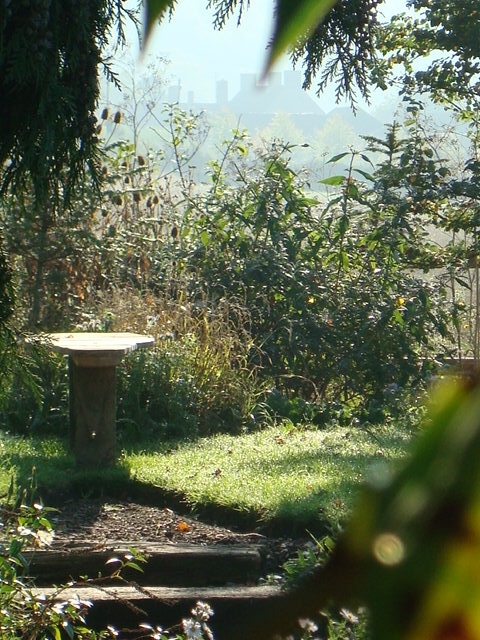 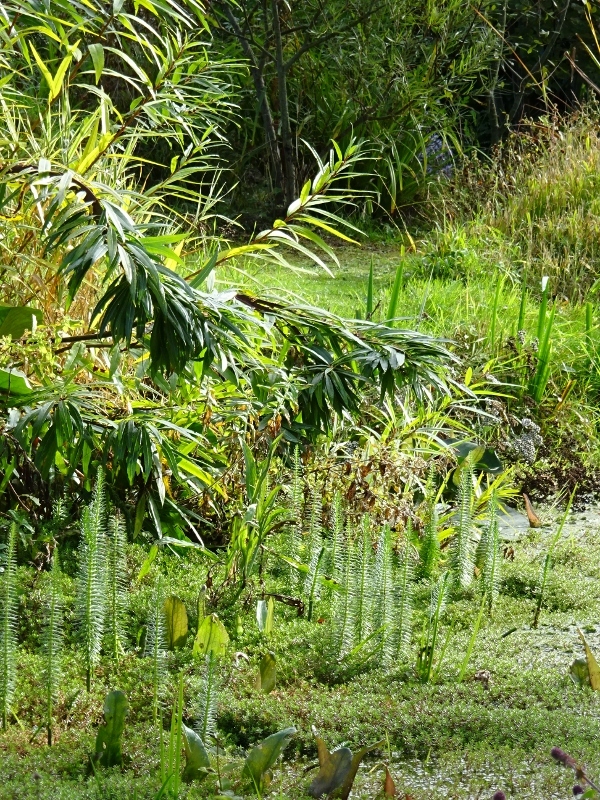 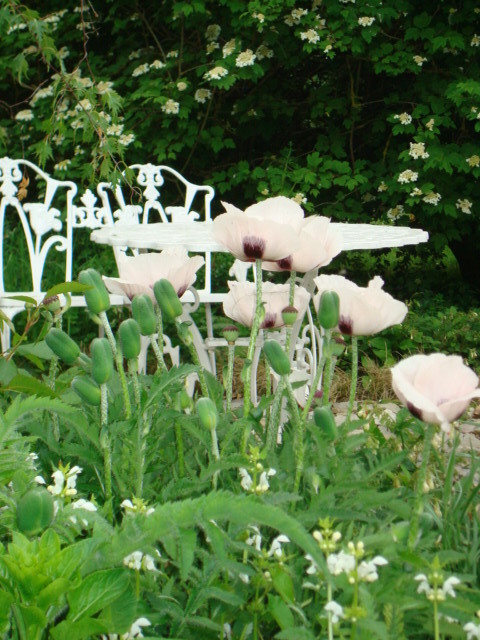 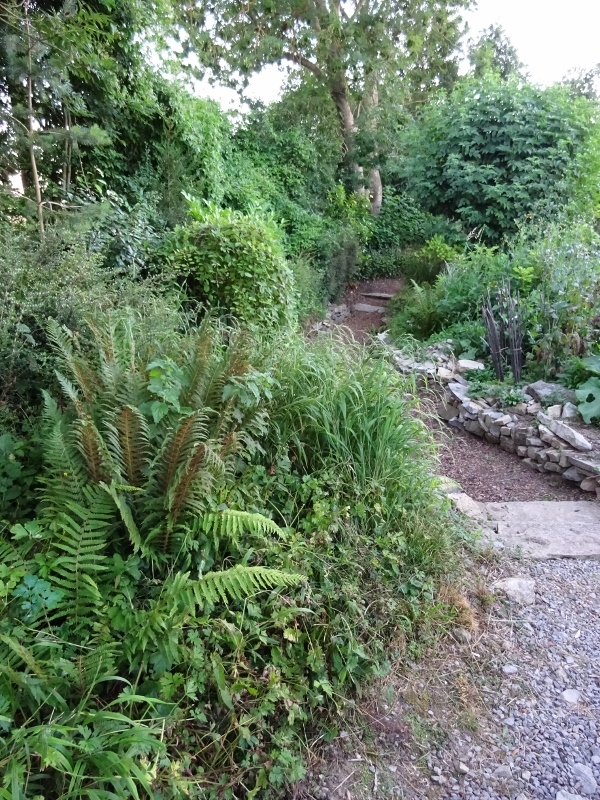 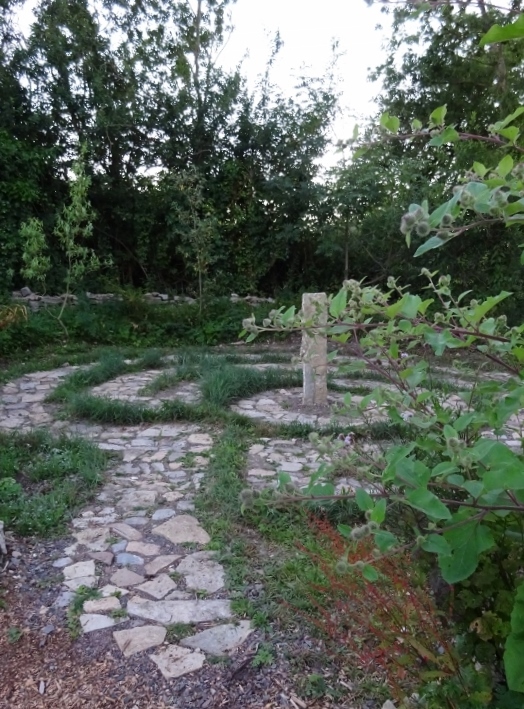 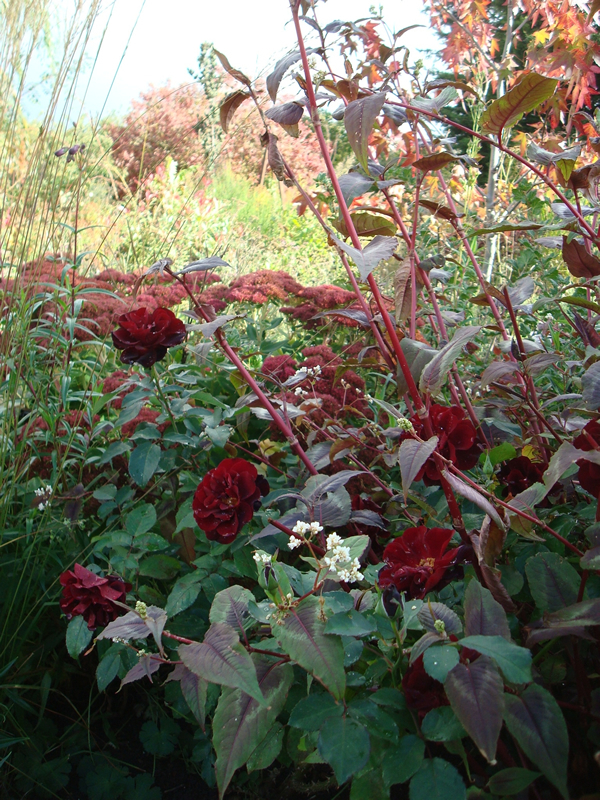 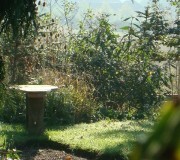 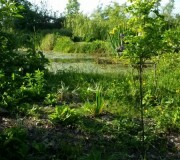 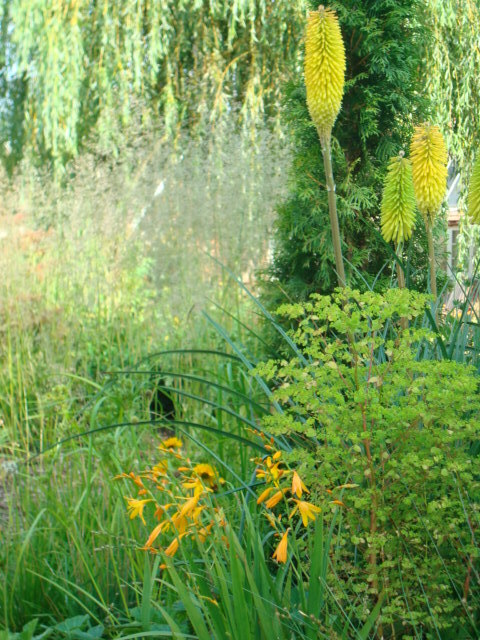 This is the most natural part of the garden, planted to give the impression of a garden now lost, it is a haven for wildlife and a particularly relaxing area. 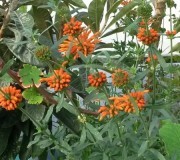 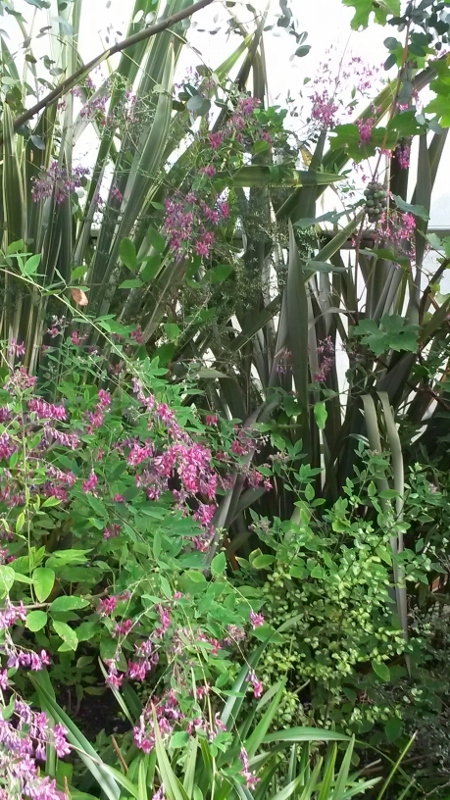 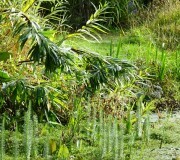 Undercover, you can see a selection of plants from around the world. 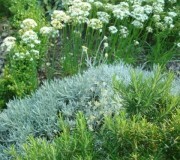 The poor soil in this sunny spot suits herbs well. 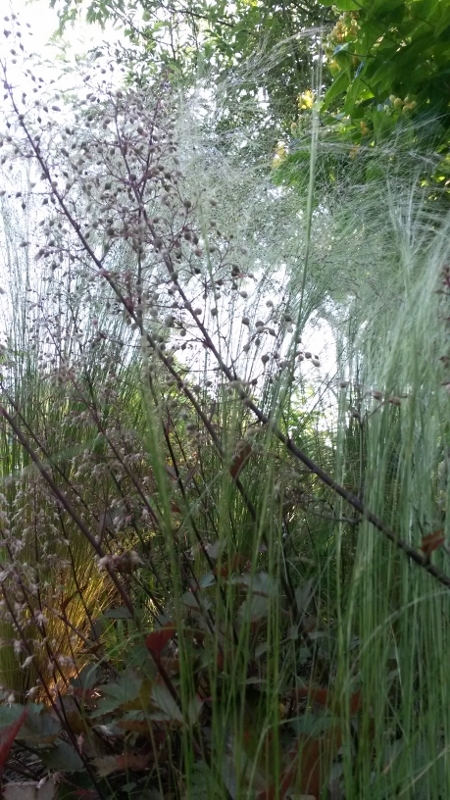 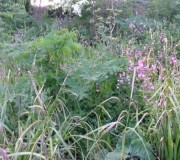 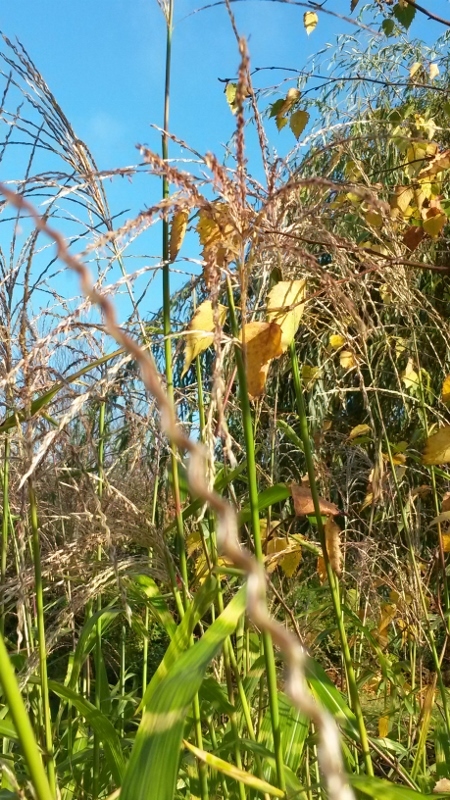 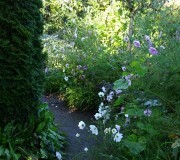 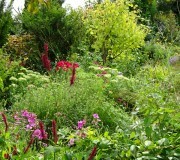 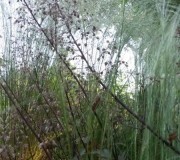 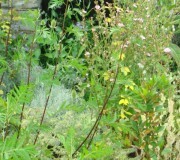 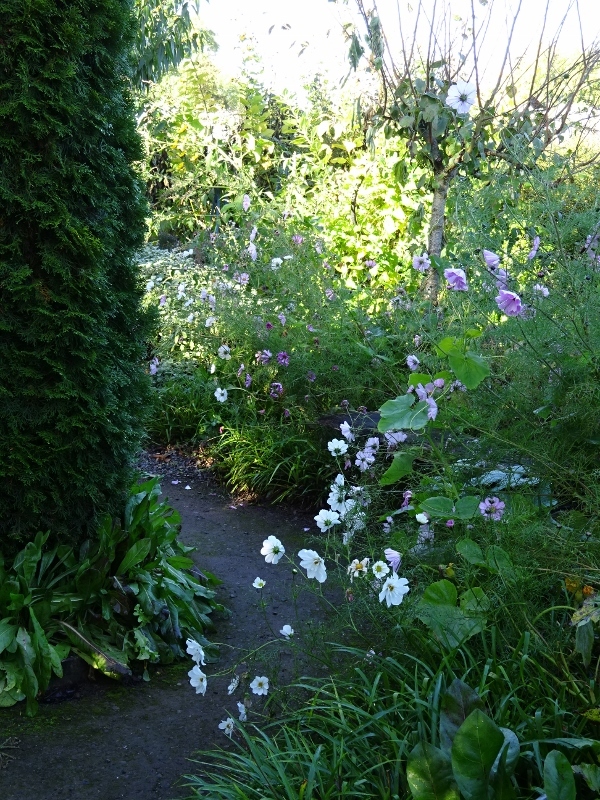 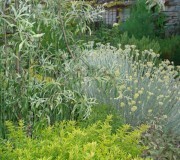 Old favourites like fennel, bay and sage grow alongside mace, sweet cicely and marsh mallow. 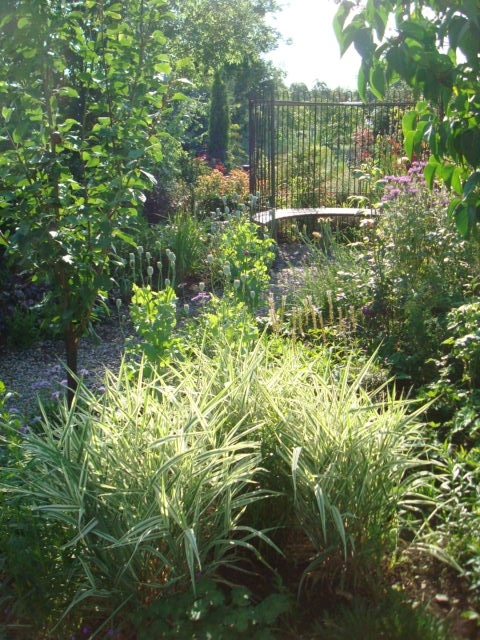 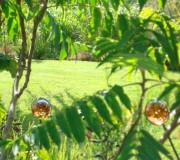 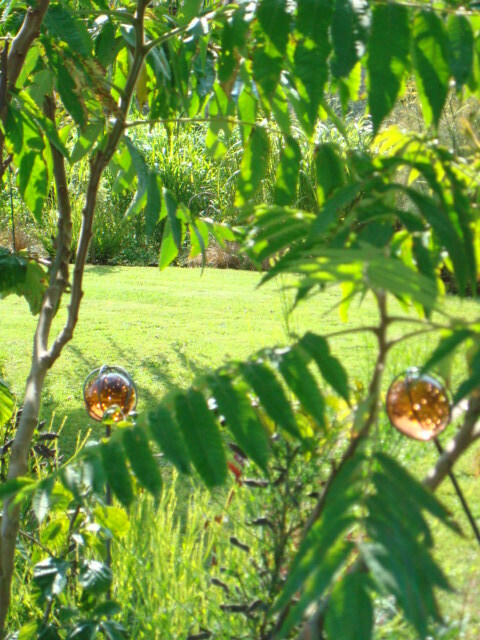 Sometimes it is the long views of the garden, a glimpse of an area through the trees of grasses, or perhaps the light filtering through the leaves which catches the eye. 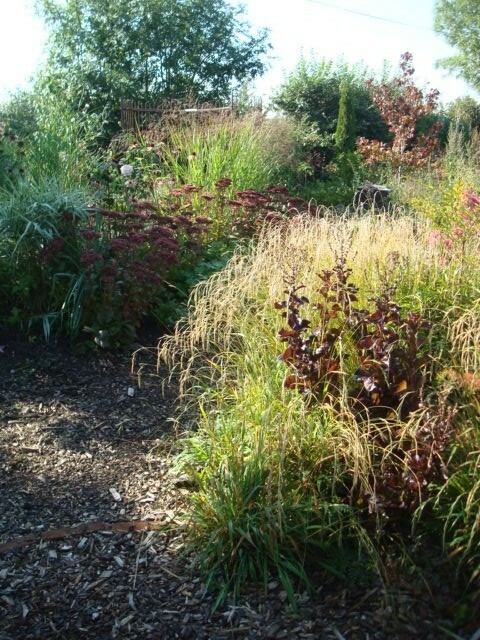 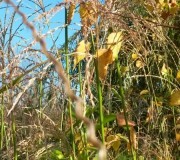 Sometimes the star of the show in their own right and most often in combination with other plants, grasses are ideal in a wildlife-friendly garden, providing habitat and food for insects and birds. 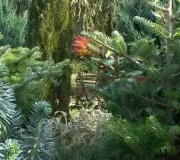 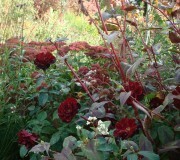 They are beautiful in the winter when so many other plants die back.